styledevent.com | Save The Date?! To save the date or not save the date… that is the ongoing question??? We definitely suggest sharing your Bar/Bat Mitzvah date with your immediate family and friends, and especially with those guests who are needing to make travel arrangements. However, sending out Save The Date cards to children is sometimes a double edged sword and gosh knows when in the midst of planning the great B’Mitzvah no one needs any unnecessary bloodshed. It all starts with the best of intentions, but someone always gets hurt feelings if they find out they weren’t included, so it’s best to send them out to everyone and know that there is no going back. 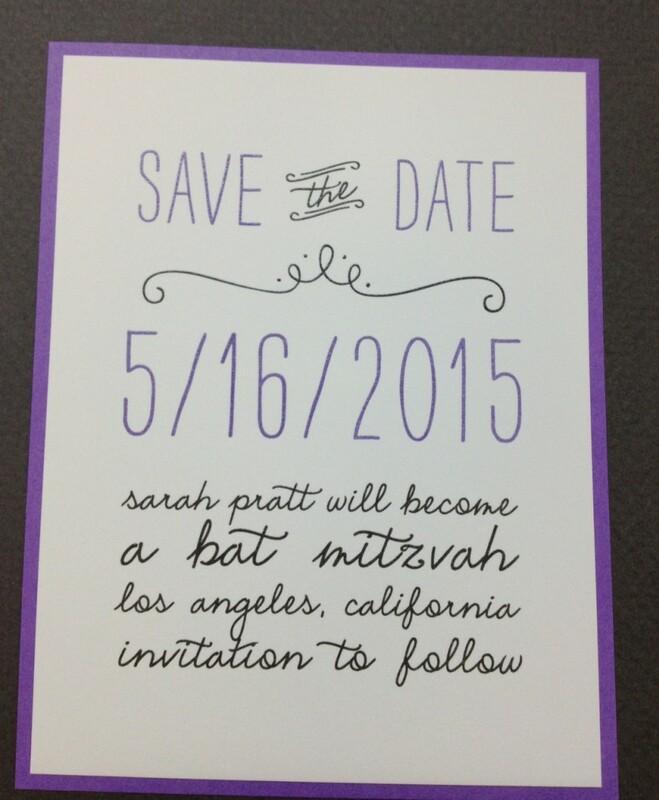 We also are aware that some mitzvah moms start getting a little crazy (OK, maybe a lot crazy) and want to be sure everyone knows about her child’s big day, so they figure that if their Save The Date arrives in the mailbox first then that guest will choose their child’s party. We warned you about bloodshed right? Well, we found a solution to help eliminate some of the tears and the stress. SaveMyMitzvahDate.com is a full service Bar / Bat Mitzvah website that serves as the official date keeper allowing parents to schedule and share their date with friends and family. It allows you to add your child’s date to a local and national calendar by zip code, school and camp to alleviate any conflicts. It also allows you to create and download a mitzvah spreadsheet for guest tracking, addresses and responses in addition to providing local vendor listings, fashion trends and creative ideas for your event. They also take privacy, security and web safety seriously, so your information will never be shared. The best part is that it is FREE! *This may be the only free thing you receive during this time so take advantage and sign up today. Be sure to schedule an appointment (954~384~8703) in our studio to view some great Save The Date cards. We also label, stamp and send so you don’t have to. You can now save the date and save some time. Best of luck and Mazel Tov from all of us at Styled Events and Invitations!